I drove past the school the other day to take a look at how things are coming along. The outside looked pretty much done to me; they have even laid sod, which gives the school a real look of completion. School packages are being mailed out this week, so keep your eye out for them. The school address and phone number are listed on the left hand side of the home page for your information. 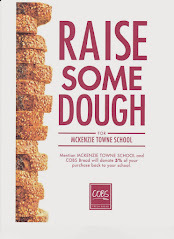 Enjoy the rest of your summer and stay tuned for further details regarding the McKenzie Towne School Parent Association AGM and School Council establishment meeting in September. Thanks for the update Tiffany. I was begining to wonder if the packages had been sent out and mine got lost. The school does look great from the outside. The kids are getting very excited about moving to the new school in Jan..